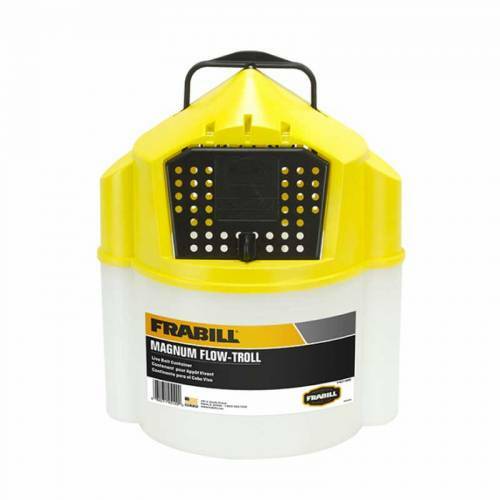 Magnum Flow Troll 10 Quart Live Bait Bucket. Holds 10 quarts of water and features a self-closing lid with locking door. Extremely durable bait container that will keep your baitfish healthy and active.